This allegorical film is perfect for anybody who has looked at a cute baby and said they could ‘eat them’, but explores that in the cutest and least creepy way possible. A woman cooks a dumpling that comes to life and she raises it as her own child, trying to protect him as he seeks his own independence. This is the first Pixar short directed by a woman, Domee Shi, who draws upon her background and culture as Chinese Canadian, even featuring her mother’s recipe for the eponymous Bao. Pixar have been bringing a lot of other cultural backgrounds into their films recently, a few years ago there was an Indian inspired short from Sanjay Patel called ‘Sanjay’s Super Team‘. Domee Shi has written a great story that fits the short animated form perfectly and should be universally understood, parents will get it, especially those who saw it playing in front of ‘Incredibles 2‘ though their children who saw the first Incredibles movie have since grown up and left home. As with many of the shorts, there is no dialogue, yet it perfectly tells a tale of parenting and empty nesting through charming visual storytelling. The score is also really helpful in helping to convey the intended tone of each scene, highlighting especially when the mood changes and one moment of hard-hitting sadness. 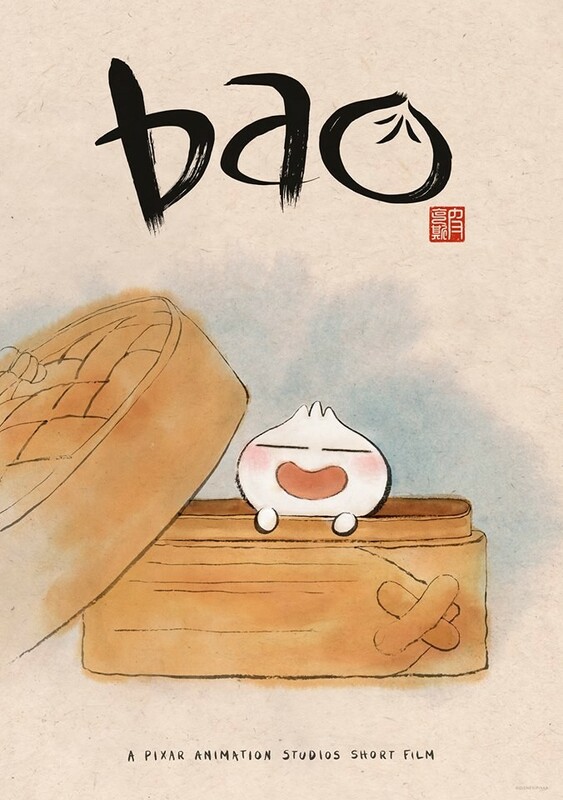 Centrally there’s the really cute little bao character, the perfect work of some clever character design, he’s cute enough to find lovable and not scary or creepy as living food could be. Essentially why this works though is not just one cute lead character, it’s that it is a touching story of family, a mother’s love for her son as he grows up but her struggle when he’s no longer living at home. The last scene ends the film on a really upbeat note, touching on an exchange of cultures and traditions as she’s able to overcome the feeling of losing her son and see the possibilities of welcoming someone new into their family. Apparently, some people were left confused by the film. It’s only 7 minutes long, there’s no dialogue to misunderstand, it made itself perfectly clear to me. The first time I watched it, I was a little disappointed by the ending, I felt like it could have perfectly kept the allegory contained in its own completion, but that ending should’ve helped all those people who struggled to understand what was going on. Annoyingly it also made me a little hungry, which isn’t the best thing to do with the preamble to watching a feature film, and has tempted me to buy a bamboo steamer and make Bao myself, though I hope it won’t become sentient and break my heart. Nominated for Best Animated Short at this years Academy Awards this is definitely up to Pixar’s usual high standards for their shorts and has all the themes of family we have come to expect, though I can’t comment on what its chances of winning are until I’ve seen a few of the films it’s up against. I have linked to a Disney/Pixar tweet below that includes the whole film to watch, though I can’t say if that will be available forever, it may vanish at some point so watch it while you can, it’s a lovely heartwarming way to spend seven minutes. This entry was posted in Film, Oscars 2019 and tagged 2018, Academy Awards, animated, animation, awards, Disney, featured, film, films, movie, movies, nominee, nominees, Oscars, Pixar, review, short film. Bookmark the permalink.